Wellington. Gale-force winds battered New Zealand's North Island on Friday (05/01), tearing off roofs, bringing down trees, cutting power and forcing residents to flee flooded seaside towns. The storm, which began on Thursday, was easing in the upper part of the North Island but would continue to wreak havoc as it moved south and hit the capital, Wellington, forecasters said. A tree smashed into a car in the eastern town of Rotorua, killing a woman, police said. "We ask that people avoid low lying roads and coastal areas across Bay of Plenty as water levels are high, making conditions extremely dangerous," the statement added. In Kaiaua, a seaside town south of Auckland, authorities called for residents to evacuate as strong tides submerged the coast. "My husband said 'I think we need to go' and I looked to see where he was pointed and the sea was coming in like a tsunami. It came in real fast," Kaiaua resident Diana Gausden told the New Zealand Herald. 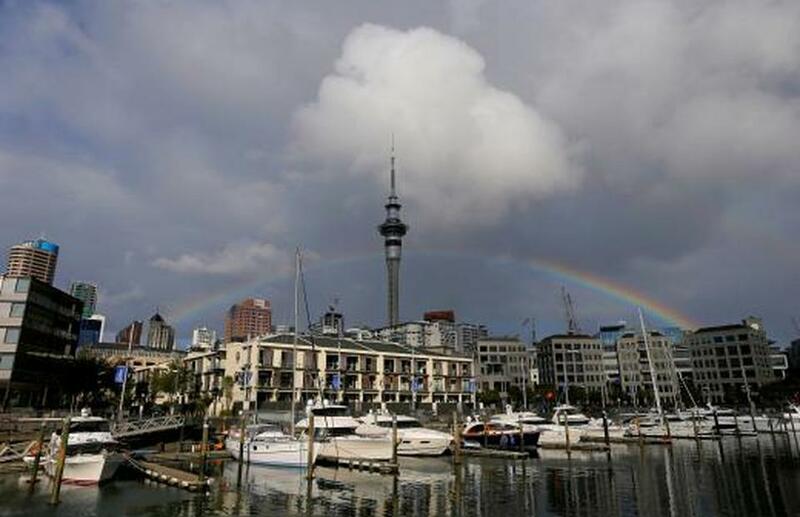 New Zealand's largest city, Auckland, was pummeled by two months' worth of rain in 24 hours, according to the National Institute of Water and Atmospheric Research, prompting authorities to shut major roads and cancel ferry services and dozens of flights. Winds of up to 128 kph (80 mph) an hour tore off roofs, felled trees and ripped boats from their moorings overnight, according to media. More than 20,000 households had been left without power on Friday, including 12,000 in Auckland, according to media. Electricity providers said they were working to fix dozens of separate power outages centring on Auckland. The storm was a dramatic interlude in an unusually dry summer, which has led to drought in many farming regions and curbed production of milk.